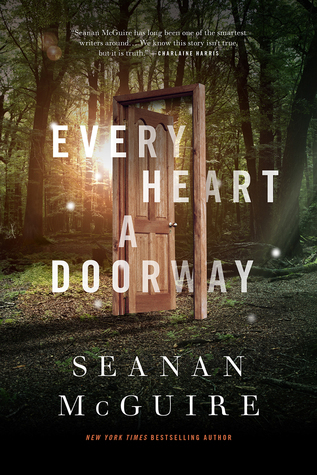 I do not know how to explain Seanan McGuire’s Every Heart a Doorway. It’s a kind of dark, creepy fairy tale about all those children who slipped through the cracks – a wardrobe, a rabbit hole, or a simple doorway – and found themselves somewhere else; somewhere no one would believe they’d been. No one, that is, except Eleanor West. Eleanor West’s Home for Wayward Children is where despairing parents send their troubled kids. The ones who claim to have been to a different world. Eleanor West promises to help them, and she does, just not in the way the parents imagine. Because Eleanor has been to her own world and she knows the sadness and loss these children experience when they are dragged back to the “real” world. She offers them a place where they can be believed. While strange (in the best possible way), but it is also full of wit and humor. This story is just damn perfect. I don’t want to give anymore away. It is a tiny book but wow oh wow is it wonderful. GO and pick up a copy today! You will not be disappointed. This entry was posted in Magic, Young Adult and tagged Every Heart a Doorway, Fiction, Seanan McGuire, Wayward Children, Young Adult. Bookmark the permalink.